Bartrum mentions that his name appears on the list of “seven happy cousins” alongside Cybi, Beuno, Dewi and Seriol, which must surely be a good company to be in; although once again he points out that some sources omit Cawrdaf from the list including instead alternative happy cousins in his place.. His feast day is celebrated on December 5th. 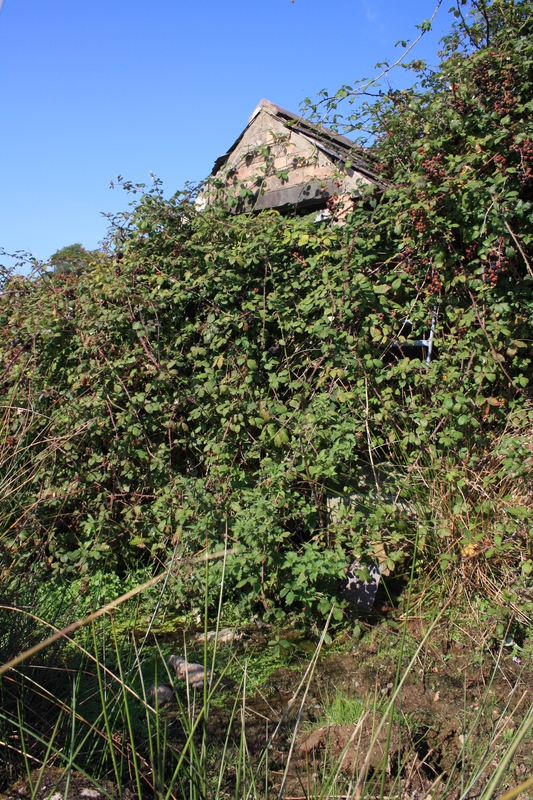 The well is now enclosed in a small brick building, completely overgrown with brambles which made a close examination of the structure impossible. Myrddin Fardd records that the well was once reputed to cure all ills. The Royal Commission on Ancient and Historic Monuments reported in 1964 that the building stands on a surround of stone slabs which “may be ancient”. The stones do remain but could only just be glimpsed through the thorns. 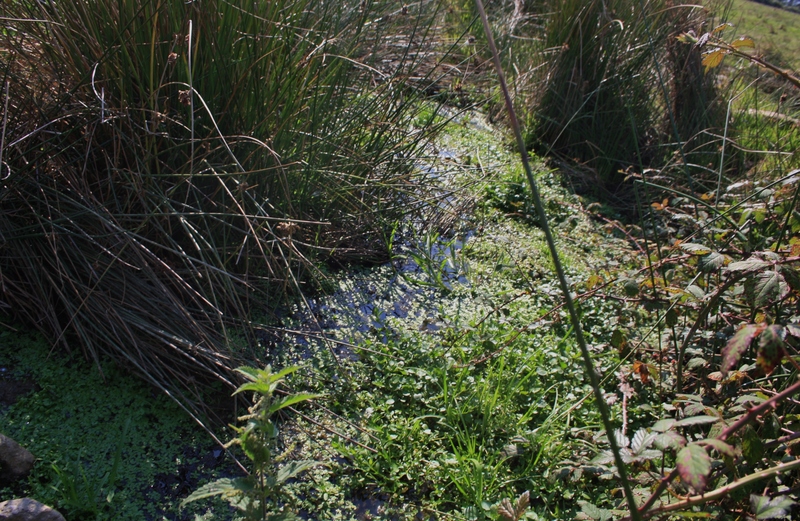 The water still flows, however, demonstrated by the steady stream that emerges from the front of the structure flowing across the field before it. There are two other noted wells in the parish, one supposedly dedicated to Cadarch, who some histories have suggested was Cawrdaf’s brother although others fail to associate in any way with the area; the other is Ffynnon Gwynedd, a well Fardd records to have been used in divination. I was unable to get access to either of these on this visit, but hopefully will have a chance to report on these in future. Great post. Desperately needs a tidy up is it listed? Looks interesting, like to see a picture without folliage. Worth a visit in winter me thinks? I have a great petrol hedge cutter. Just say the word !! I really love your posts, and if I can help in anyway well, excuse the pun, not intended, just say the word.